Did you know that I am a local health and wellness coach with Beachbody, LLC? We are an American multinational corporation headquartered out of Southern California that uses direct response infomercials and multi-level marketing to sell fitness, weight loss, and muscle building home-exercise DVD’s such as P90X, Insanity, Les Mills Combat, 21 Day Fix and have new upcoming programs such as Insanity Max: 30 and 21 Day Fix Extremecoming out in the next few months? We are expanding in YOUR area. I am in search of individuals who are located in within the United States, Canada or Puerto Rico would like to learn more about earning some extra money by helping people get healthy and fit. If you would you like to hear more about this opportunity please send a message or post in this event invite “I want to know more!” and let me know who your inviting coach. Starting on Monday, myself and two of my personally sponsored coaches Samantha Thornton, Gabri Means, and I who are part of my team, TEAM RELENTLESS founded in February 2012, will be hosting a 7 day VIRTUAL group that is designed to allow others to learn more about WHO we are, WHAT we do, HOW we earn and WHY we are so passionate about health, fitness and helping others and are committed to Beachbody for life. – explain all of the benefits that are available to coaches (benefits that many are unaware of which will will help you make an educated decision on whether this is something you would like to pursue and helps coaches decide what direction & pace they want to take the coaching opportunity.) It will help you understand that YOUR goals do NOT have to be like mine or any other coaches that you may know. – highlight some of the many inaccurate assumptions that people associate with what is required and obligated of them if they were to become a cosh. – share with you the motives behind Team Relentless Coaches and our mission that we have as a whole. The group is private and only the members of the group can see what I post and what information is shared. There is NO obligation or cost to become be included in this exclusive “Behind the Scenes of Team Relentless” 7 day presentation. Each day I will post information in the group and “pin” it to the top of the group so that you can easily access it and read the post or watch the video. You can watch silently while you learn more or you ask as many questions necessary to help you learn more and make the decision whether or not it’s for you. Then on Monday, November 17 from 8:30-9:30 CST I will be hosting a 1 hour Question and Answer Coach Opportunity Call to cover anything that you need clarification on or I may have left out that you wanted to know more about. If you would IMMEDIATELY like to learn more about this opportunity, click on this link and complete the application so that I can learn more about you and get you more information. Many of you know my story. Others don’t. I was never into fitness. I have 3 decades of experience in being an overeater. I was a talkative, outgoing person, but only inside my own comfort zone and circle of friends. I had suffered from low self esteem for my whole entire life. I did not have an ideal childhood. I did not go to college. I have been married 3 times and have 3 kids from each marriage. I had been labeled as a disappointment and failure more times than I can count. I was my own worst enemy. I fell on my face and hit rock bottom more times than I’d care to admit. I had never set a goal in my life. I was not raised to dream. I was a total mess. I’ve done every drug in the book and used alcohol to mask my pain. Even though I had every reason to be happy and had made long strides as a person, I still felt empty, alone and lost. When I needed it the most, my paths crossed with the most amazing person, my coach, Becky and she offered me my life back, even though I didn’t know it at the time. She believed in me. She gave me hope. She provided her love, friendship, time and energy and never expected anything back. 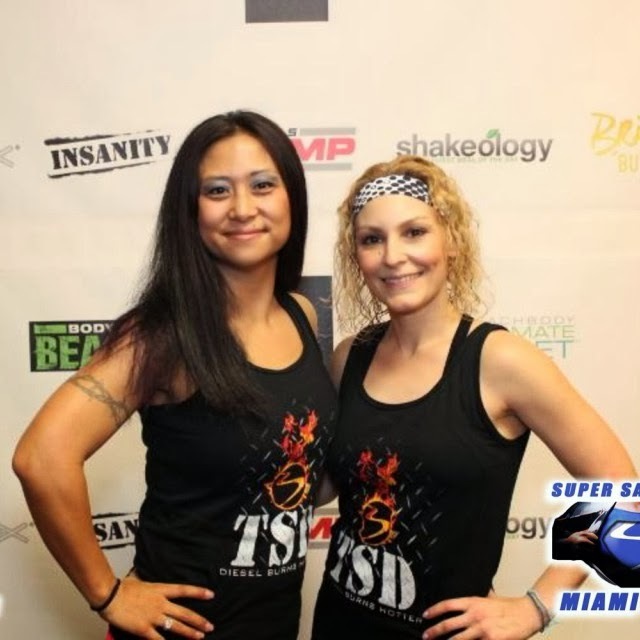 I with hesitation and reluctance, bit the bullet and took that first leap of faith & decided to become a coach on her team – Team TSD on February 15, 2012. This decision that wasn’t really that significant to me at the time singlehandedly changed the direction of my life and forever changed me on multiple levels. 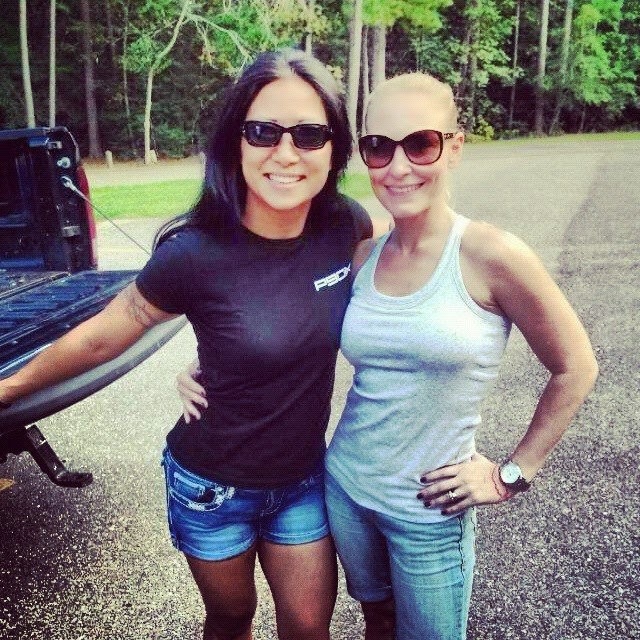 I finally got to meet her in Louisiana 7 months after I joined her team. We were so graciously invited to her husbands family reunion where I got to also meet her husband, 2 precious boys and her in laws). Since then, I’ve flown to Miami for a long weekend to visit her. We saw each other in Orlando at the 2012 Success Club Trip at Disneyworld where my girls got to meet her whole family, in Vegas for Summit, in Dallas, when her and her sister Kristina came for the Dani Johnson event and in California for the Success Club Leadership retreat. 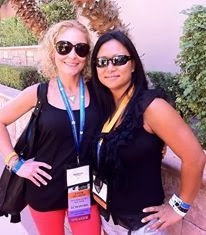 I am now counting down the days until March, when we see one another again on the 2013 Success Club Cruise to Grand Cayman. I cry every time we have to say goodbye. She’s MADE that much of an impact on me. She helped me find the path to achieving TRUE happiness, a satisfying life, learning how to dream, enjoying life at it’s full capacity, loving without holding back, appreciating what I have, finding my gift, my passion and my purpose life. This is what it can do for you. And on top of all those amazing things, she helped bring me home to my family. In just 625 days, I was able to walk away from my 10+ year career in the boring insurance industry and now work from home as a full-time Coach, which supports my role better as a wife and mom of 3. This opportunity is available to ANYONE else who wants it or has ever dreamed about it. This past year has been to say the least AMAZING. Full of opportunities. I have traveled to 4 different states because of this opportunity and met some of the most incredible people I have ever laid eyes on. I have done things I would have never thought possible. 2012 was just the beginning. 2013 was one for the books. 2014 will be EPIC! Are you ready to stop living life as you know it and do extraordinary things? If you are looking to make a life change, big or small. If you are looking for a place to belong. If you are looking for a method to hold yourself accountable to your health & fitness goals. If you are looking to make a career switch, make some extra money to travel more, pay off debt, or help you work towards achieving something you’ve been wanting, but is not in your budget, like a new car, new swimming pool or just to help supplement the family’s income. If you are looking to help others by paying it forward. 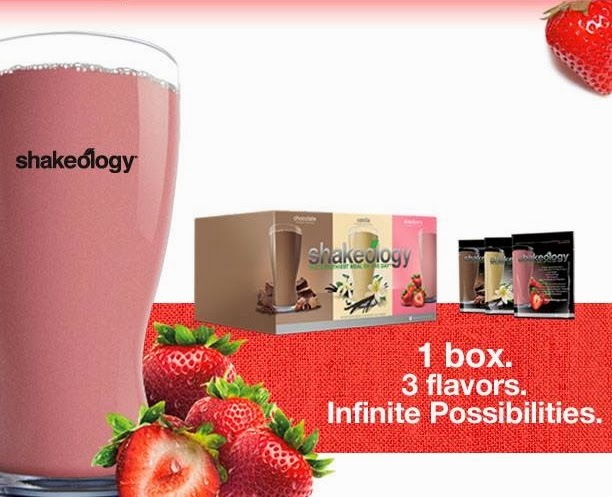 Or if you are already drinking Shakeology everyday or simply a fitness and health enthusiast and love Beachbody products and would like to save 25% off of the products…. HERE IS YOUR CHANCE to accomplish your goals, achieve extraordinary things, be part of something BIGGER than you and fulfill your dreams. My “OPERATION: NO ONE GETS LEFT BEHIND online Coach Training Program” kicks off in less than one month – on February 13th. This is geared towards those who are tired of feeling alone and would like an EXTREME financial, emotional and physical MAKEOVER. This training will be geared towards those who want to experience the benefits of coaching but perhaps they do not feel physically ready to present themselves as “coaches.” Most of us feel this way in the beginning! We will work through the insecurities and discuss how to achieve your business goals at the same time as your physical fitness and nutrition goals. There are a few options on how to sign up and join as a coach. 1) Anyone who has purchased a Challenge Pack in the past has the opportunity to sign up as a coach for FREE. Pay the $39.95 sign-up fee. Complete the refund request form to get your sign-up fee refunded. Call Coach Relations at (800) 240-0913 request that they transfer your current Shakeology Auto Shipment from your customer to coach account. 2) Order a Challenge Pack. Click on this link to browse the 20+ different Challenge Packs available that range from $140 to $305. If you are having a hard time selecting which one is right for you, please let me know so I can evaluate your current fitness level, your lifestyle and goals to help you find the one that works best for you! If you are wanting to promote the products as an Independent Team Beachbody Coach , Shakeology is an integral part of YOUR business and holds the key in your ability to help others and reach your own fitness and financial goals. You will want to make sure YOU are drinking Shakeology daily because if you aren’t how can you honestly promote it to others if you’re not benefiting from it or don’t believe in it yourself? And the same goes with the promotion of the fitness programs. (Doesn’t mean you have to have completed a whole program or have to do all of them in your lifetime, but you need to have a some knowledge and be using one.) Also, in order to maintain an active coach status/account, you will need to have at 50 Personal Volume Points (each Beachbody Product is assigned a Personal Volume point value), being on Shakeology auto-shipments insures that your coach account stays active each month. If you have already ordered a Challenge Pack in the past & have your own supply, I recommend signing up with the purchase of a new Challenge Pack (Challenge Packs are not available to coaches unless you have signed up and paid the fee within the past 30 days) with Shakeology packets and ordering one of the least expensive. The best way to drive your business is by selling 7 day trial packs of Shakeology. I have found that people are more inclined to pay $35 for a week trial pack than $129.95 for a 30 day supply for something they’ve never tried and are unsure they will like or will actually deliver the benefits it says it will. So the best way to “market” Shakeolgy is to have a “stock” on hand. You would then have an investment towards your BUSINESS of $140. You would then be able to sell 3 – one week trial packs for $35 (and have 3 packets leftover to give to a close friend or relative free of charge, or keep for yourself). That would leave you out of pocket – $35 for the program when it’s all said and done. I have hosted a series of webinars sharing more about the coaching opportunity as well. Click on this link to access the playlist which will take you to the recordings. This is what I have learned from the first round. 1) I have learned that I have the potential to do anything that I put my mind to. I have never taught of myself as a person whohad the capability to build a business, and I thank you for opening my eyes. 2) Thanks for renforcing that to get what you want out of life or make your business grow you need to put 100% into it. 3) I found this group to be encouraging, motivated and a place to learn, ask question and share information. 4) My biggest strength is that I am able to talk to people. What helps me with this is that I use and belive in the product. People are seeing the difference that the product have made on me. So when I start talking, they know that I am talking from heart and that I am not Bull Shitting Them. 5) My weakness is that I need to manage my time and to stay consistant with three Vital Behaviours. I was overwhelmed at times and didn’t really belive in my self that I was capable of doing something like. I remember some of the rude condescending comments I received from co-workers (and others) when I made the decision to become a Beachbody Coach. It was never about the money. In the beginning I had NO intentions of this being any more than just a “hobby”. It didn’t take long to start seeing the positive effects it had on my life. Like Melissa Dominico Galamay said last week, “It’s contagious!” Once I was committed, I was 110% IN. FOR LIFE. Why? Because it changed my life and made such an impact that I’d be silly to ignore it & ever go back to what life was like before. It made an impact because I embraced EVERYTHING that was offered to me. I figured “Why the hell not? Let’s see where this takes me!! !” I found my passion and my purpose & have helped other who were wandering around lost too, do the same. In 625 days, I was able to make the conversion to a full time coach & SAHM. My dream of being there more for my kids came true, not soon enough, but better late than never. Haylie may be 14, but at least the last years of her in my home will be spent making memories TOGETHER. I just ran a report based on the weekly commissions I have earned in the month of January (1/1, 1/8, 1/15 & 1/22) and there is STILL one more “payday” in this month (1/30). My earnings are OVER 3 x’s what I was making while working FULL-TIME at my previous “full-time” job, with TEN years of experience. I do NOT say this to BRAG. I SIMPLY am sharing with you what I was able to accomplish – a business I was able to build working PART-TIME on top of working full-time and maintaining the duties of being a wife/mother. A business that is based on helping others get what they want, achieve things people told them was impossible, not just changing their lives, but saving their lives! What would you do if you could earn an extra $100 or $1000 a month? What would you do with it? Would you buy new clothes? Would you take your family on a trip? Would you start building your dream home? Would you get that swimming pool you always wanted? Would you put your kids in sports or let them participate in those extra circular activities you’ve never been able to afford? If you would like to hear more about this business, life changing, soul rocking, fulfilling JOB opportunity, HIT LIKE and I will contact you on setting up a one-on-one call to answer any questions you may have and give you more information. FORGET ALL THE PEOPLE WHO HAVE TOLD YOU YOU’D FAIL. FORGET ALL THE TIMES YOU HAVE MADE MISTAKES. FORGET ALL THE PEOPLE WHO YOU KNOW WHO HAVE A STORY OF FAILURE. This is YOUR life. You DECIDE! YOU deserve it! On February 15, 2012 I signed up as a coach. I didn’t really have a good reason to join, other than the fact that I had given my coach, Becky Bergolla Brossett a million and 1 reasons why I wasn’t qualified and she quickly disproved my lack of belief in myself which translated into my excuses that I gave her. I had no other reasons to give her as to why I COULDN’T. So because of my inability to say “NO!” I joined. Never in my wildest dreams did I EVER think that I could be at the TOP of anything. In the beginning, I saw this as nothing more than a “hobby”. I remember when I received the certificate that stated that I was an “official” coach, I threw it away. It meant that little to me. Sad huh? I however kept the one that I received when I became an Emerald Coach, but it truly didn’t become REAL to me until I became Diamond on Rebel’s 2nd birthday on June 7, 2012. And it didn’t really set in that this was a BUSINESS and something that I COULD in fact do FULL-TIME until I became a 2* Diamond Coach in February of 2013. In 625 days I was able to hang up my ugly black cardigan that I had to wear M-F to cover up my tattoos and traded it in for sports bras, gym shorts and my Nikes! It still seems like a dream, but then I have to remind myself that I am living my dream, so of course it is going to continue to feel surreal. 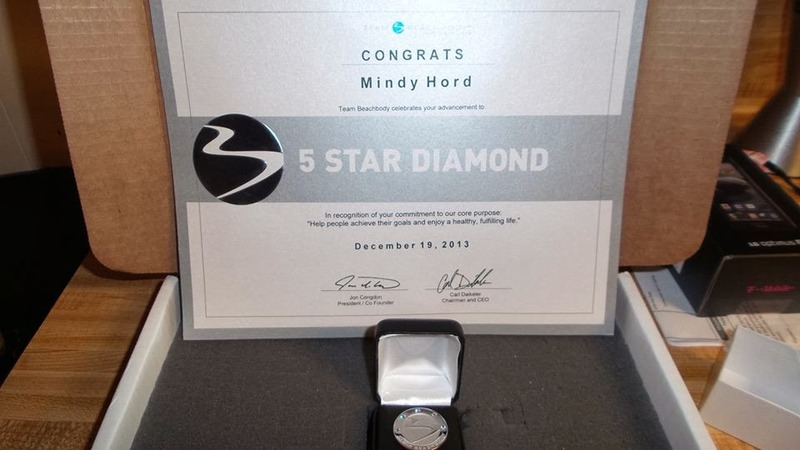 Yesterday I received my 5* Diamond Certificate. 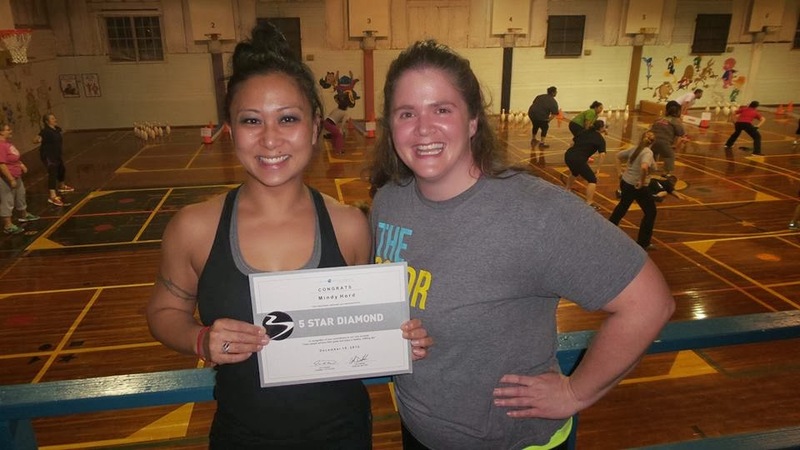 I of course, had to take the photo opp at Brenham’s Weekly Free Fit Club last night and get the millionth picture with my lovely friend, “right hand man”, close friend and ROCK STAR coach – my 5th diamond Samantha Thornton. (Surprisingly, she didn’t complain too much LOL). I am so proud of every coach on my team. And I thank Nikki J Mason, Melissa Barto, Gabri Ripple Means, and Sam for helping me achieve my 2013 goal of being able to leave behind my monotonous, life-sucking, thankless 10+ career in the insurance industry and becoming a FULL-TIME 5* Diamond & 2013 Elite Coach. Ironically, last week, I received my W-2 from my previous employer. 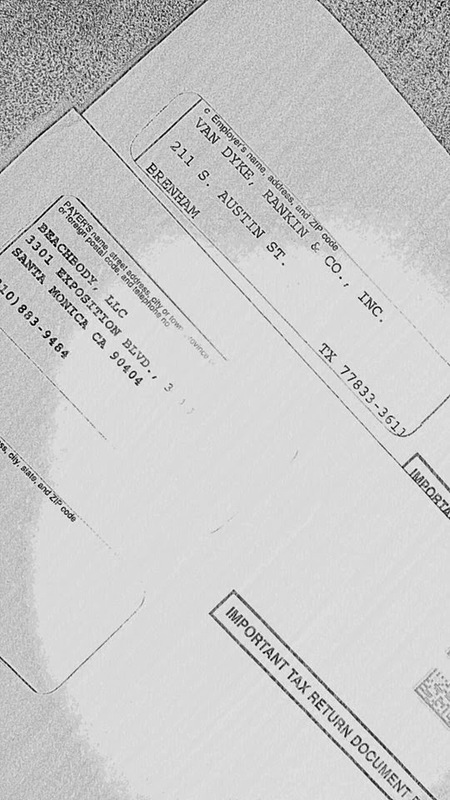 On Monday, I received my 1099 from Beachbody. Do you want to know what the difference was when I compared the two? – 10 years of experience, paid LESS than HALF of what I earned in 2013 as a Beachbody Coach with NO experience. – Working to help someone else reach their dreams, giving up 40 hours of my life each week, just to go home haggard and stressed out to the bone, having very little to give the people I love paid LESS than HALF of what I earned “working” PART TIME, fulfilling MY DREAM by helping others believe in themselves, accomplish their goals, breathing life into their tired souls, which left me feeling satisfied and ALIVE. I remember all the snide marks, the eyes that rolled, the skepticism that I’ve gotten from so many along my almost 24 month journey. The allocations that this is a pyramid scheme. That this is a risky business. That this is a gimmick. I remember telling Ryan years ago that I could never own my own business or be self-employed. I am eating crow now. I now am the creator of my own destiny. This is NOT a pyramid scheme, because I am my own boss. NO one tells me when I can or can’t spend time with my family. NO one tells me when I HAVE to work. There is no cap on my income. I don’t have to be stuck at the same position for years. And the best part is that I do not have ANY overhead. My BIGGEST motivator to NOT fail is that I NEVER ever EVER ever EVER want to go back to being an employee. I never want to be confined to 4 walls or a job description written by somebody else. I do not want someone else dictating my life or my family. I am no one special. Just someone who woke up one day and said “WHY THE HELL NOT ME? I CAN DO IT!” and then I STARTED DOING it. I’ve accomplished more as a person in the past 2 years than I did the previous 30 years of my life. I have been able to do things for my family and future, that would have never been possible working the hours I was working and earning the salary I’ve earned for the past 10 years. But what it all comes down to, is that my children NOW know that you can do ANYTHING you set your mind to, and that they will NOT remember the broken mama I used to be when they were little. What they will remember is WHO I am now. The type of person I am and the difference I have made. You cannot put a price tag on happiness.